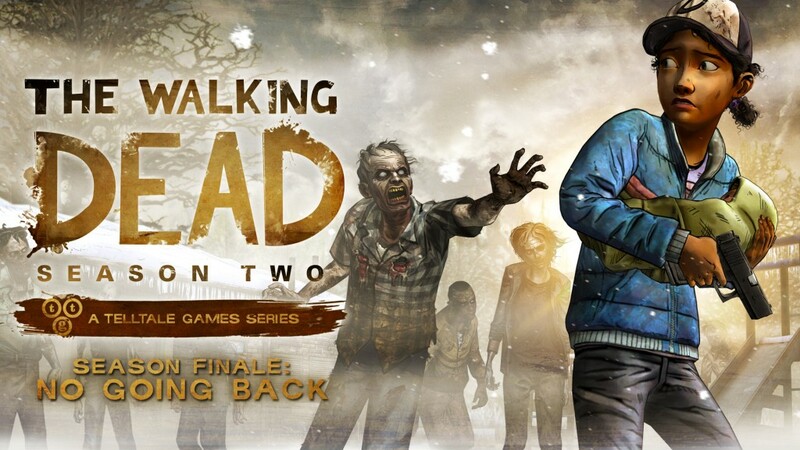 The previous episode in The Walking Dead – Season left players in the middle of a random gunfight that ended up being the result of Telltale’s apparent issue of giving the player an option, only for that particular action to mean nothing in the end. This is perhaps been the biggest criticism of the series and developer as of late, but that completely changes in this heartbreaking finale of The Walking Dead. 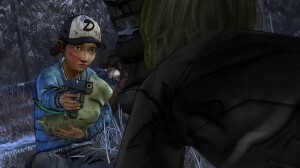 No Going Back once again puts players into the thick of things as 11-year-old Clementine. 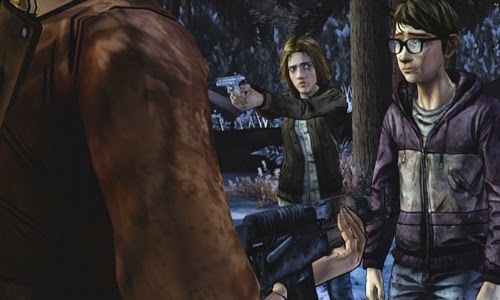 Surprisingly, the gunfight that began in the previous episode results in of the “good guys” surviving, while Arvo, the random Russian youth that started the fateful confrontation, is held captive by the group. As a way to make amends in exchange for seeing nobody else die, Arvo informs the group of a house with supplies that could help them. Without a choice, the group journeys out hoping for the best. And in typical Telltale and Walking Dead fashion, hoping for the best never works out. As stated, everybody in the main group survives the onslaught though not without some nicks and cuts along the way. As Clementine, players assume a more Lee Everett-like role, trying to keep the group together while also maintaining its composure. It really slows down the episode’s action, but each conversation Clementine has with people in the group has its moments of beauty worth giving a little smile about. Amid the Ruins was littered with death after death of members of the group who seemed to have lost guidance and importance. That said, I’m just going to put it out there–two more meaningful deaths happen in the finale. They’re meaningful because they happen to somewhat likable individuals whom Clementine actually got some good time with. 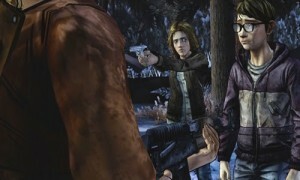 The moment the first person dies, Clementine is instantly blamed, which causes immediate shock to her well being. We’ve seen instances in this season where Clementine is clearly the most mature in the group, and even at that, there have been quite a few instances where the “adults” assume Clem isn’t anywhere near them as they bicker about the struggle of their lives. Hardly anybody Clementine is surrounded by seems likable at this point, and this really takes away the feels we get from the otherwise still stunning conclusion. What really sets this episode apart is we start to see real repercussions for the decisions Clementine makes on the fly. Yes, there are still some decisions to be made that don’t ultimately affect what usually happens, but for the most part the things you say (or don’t say) to certain people really start to hold weight later on. Character deaths are quite minimal in this episode compared to what we’re used to, but we also see that people definitely are not who we thought they were as betrayal also rears its ugly head at a time where it definitely isn’t needed. This leads to the closing climax of the game which then branches off into five different endings, and it’s definitely the hardest decision you’ll have to make since the end of the game’s first season. I really sat at the edge of my bed, for nearly three minutes, before making a decision with eyes wide open. 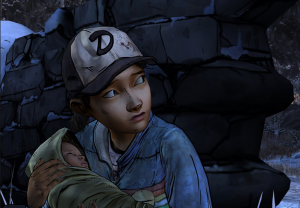 What did I want #MyClementine to do, and once I did, will I be happy with #MyClementine? After going through the end credits and comparing “My Choices” to those of others, it also appeared that people really didn’t know what to do at the end either. Either way you decide to go, there’s definitely a sense of closure with each ending, causing people to really wonder what’s in store for season 3, because I surely wouldn’t mind it ending here. *400 Days is an add-on the Season with variables that carry over to Season 2. 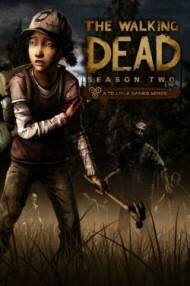 A review code for the Xbox 360 version of the game was provided by the publisher.